Tiny glass crystal rondelles in a milky pale pink (the color of rose quartz). 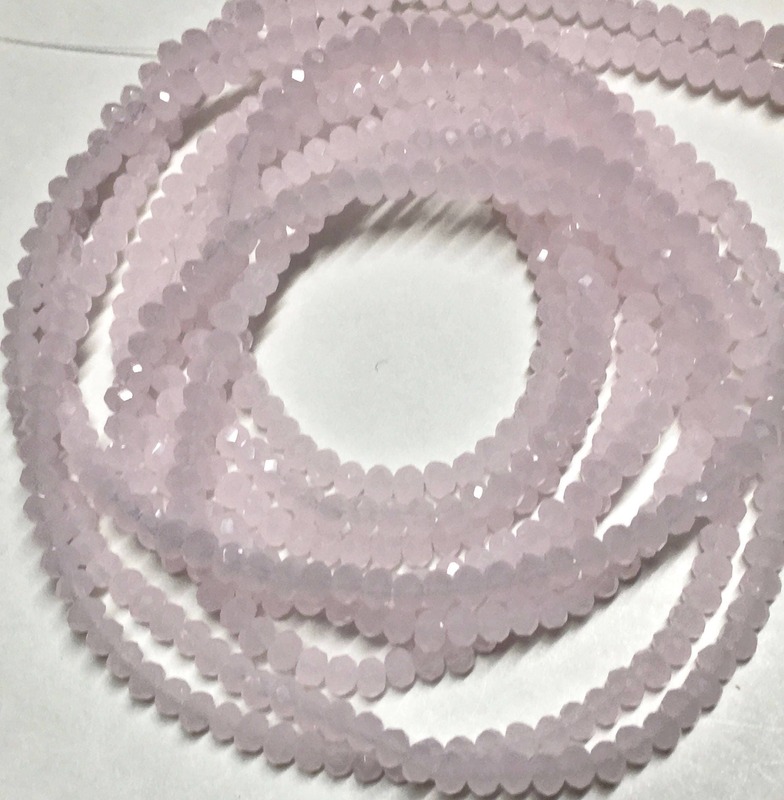 These gorgeous tiny crystal rondelle beads would make great sparkly additions your jewelry designs and are a must have for your bead stash - great for bead weaving! You will receive one strand of approx 195 beads. Crystal size is 3mm x 2mm with some slight variations.